Dr. Bob DeYoung is retired from The Broward County Sheriff’s Office in Fort Lauderdale, Florida. He served in specialized units such as narcotics, fugitive squad, and career criminal apprehension. He is best known for his 15 years on Special Weapons and Tactics, serving as the Tactical Commander, Team Leader and Training Coordinator. Additionally, he is nationally recognized as the founder of the first federally-funded task force investigating Internet crimes against children, where he posed as a child victim on the Internet and developed expertise in computer forensics. Upon retirement, Bob founded Forensic Recovery, LLC, a private sector organization created to serve the legal and corporate communities in electronic evidence discovery and expert testimony. 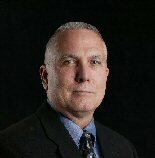 He is recognized in federal and state courts as an expert in computer forensic processes. Bob earned a Master of Science in Management from St. Thomas University in Miami Gardens, Florida and a PhD in Leadership from Lynn University in Boca Raton, Florida. He continues to actively participate in computer forensics while teaching graduate and doctoral level courses. Teaching across the spectrum of business, management and research curriculum, he serves on numerous doctoral dissertation committees, sitting as both a chair and committee member. Bob and wife of 44 years, Joye, moved to Dade County, Georgia about 8 years ago, settling into Middleton Estates. They now reside in Rising Fawn after an unexpected encounter with a tornado in April 2011.